Google was late to search. Facebook was late to social networking. Apple was late to the MP3 Player. 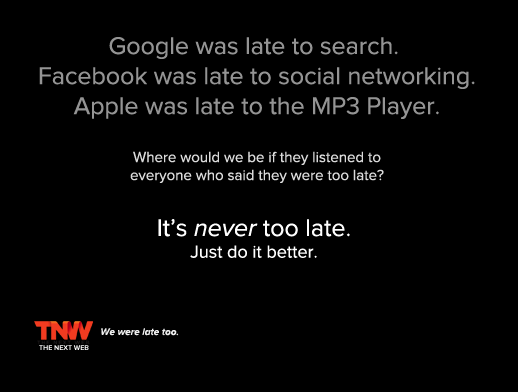 Where would we be if they listened to everyone who said they were too late? It’s never too late. Just do it better.